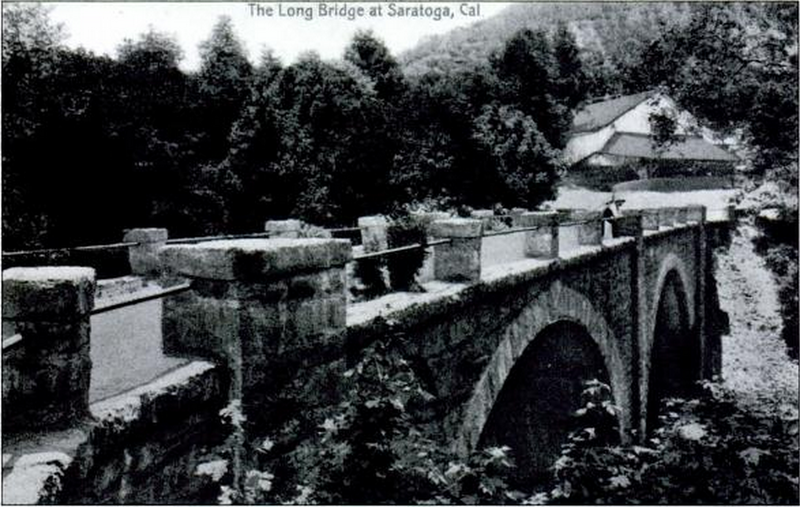 The Saratoga Creek Bridge is a 165 ft long three span arch with a 60 ft long center span over Saratoga Creek. 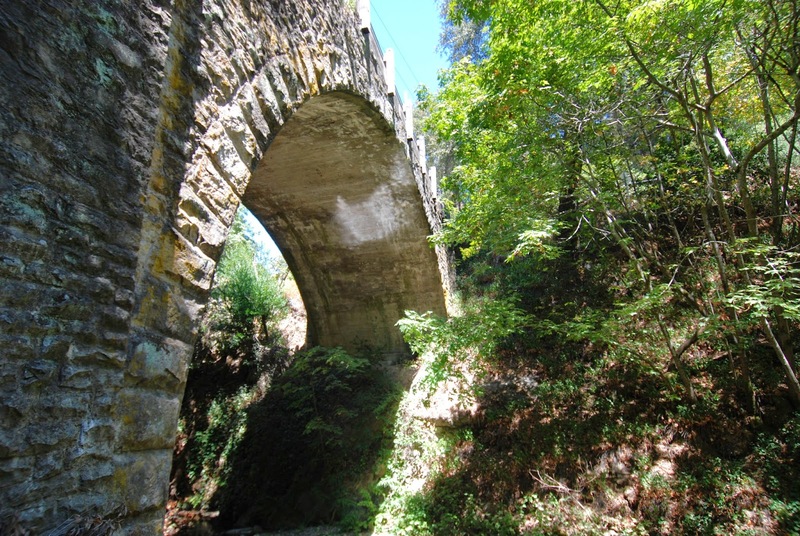 It was found eligible for listing in the National Register of Historic Places as part of a bridge inventory conducted by Caltrans in the 1980s. "The bridge was found to be significant under Criterion C as a distinctive example of period, method of construction, and the work of a master. Constructed in 1902, it is considered the most important example of County Surveyor John G. McMillan's work. McMillan was a pioneer in concrete bridge design in California and known for environmentally sensitive crossings. The un-reinforced concrete earth filled spandrel arch bridge features a highly decorative treatment of rubble and ashlar facing on the spandrel. Retaining a high degree of integrity, the bridge is both one of the oldest concrete bridges In California and at a 165 feet in length, the longest concrete bridge constructed before 1905." The bridge originally had a stone barrier that was later removed. The timber post and flimsy rail that replaced it was unsafe and so Caltrans is replacing it (on a historic structure) with a standard New Jersey (type 732) barrier rail. Santa Clara County, California Bridges: State Route 9 Bridge across Saratoga Creek (2) by Mark Yashinsky is licensed under a Creative Commons Attribution-NonCommercial-NoDerivatives 4.0 International License.